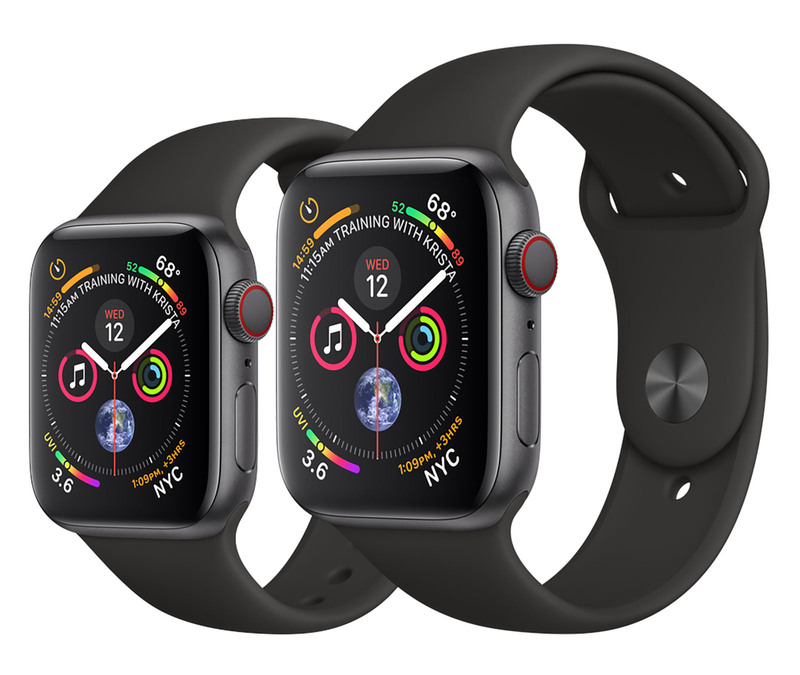 The Apple Watch Series 4 was announced on September 12, 2018 with an all-new design in 40mm or 44mm case sizes. Equipped with an S4 64-bit dual-core processor and 16GB capacity, the Series 4 can be purchased with GPS Only or GPS + Cellular connectivity. The GPS + Cellular option has built-in cellular, allowing you to make and receive phone calls, reply to messages and get notifications away from your iPhone. It does require an iPhone 6 or later with iOS 12 or later, as well as a qualifying wireless plan. In terms of hardware, the Apple Watch Series 4 features an LTPO OLED Retina display with Force Touch, Bluetooth 5.0 and an optical heart sensor. The speaker is louder compared to the Series 3 and the Series 4 has an improved gyroscope. The Apple Watch Series 4 also has up to 18 hours of battery life and is water resistant to 50 meters. Apple takes unjustified heat for iterating on a product year after year. By not tossing out the whole platform and design, however, the company has created a game-changer with the Apple Watch Series 4.